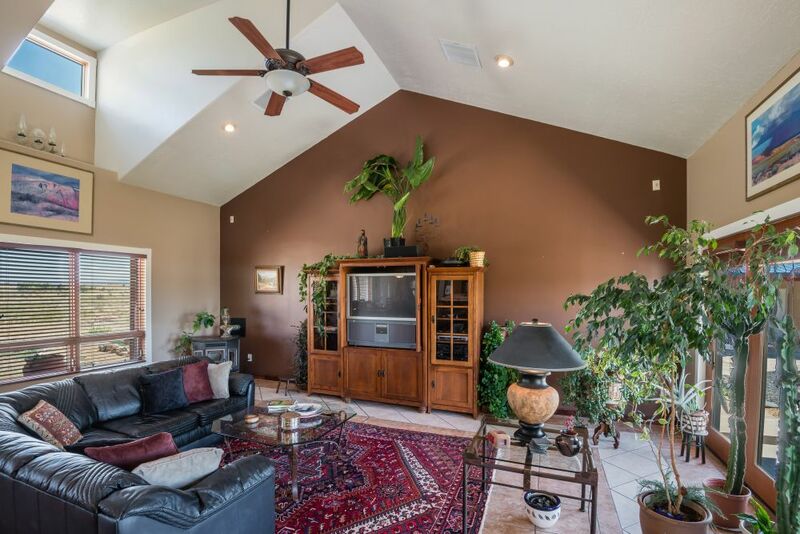 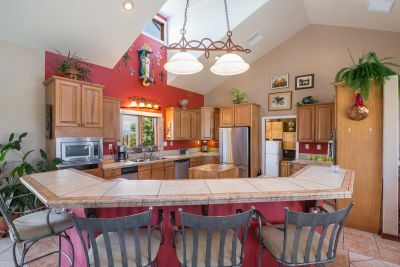 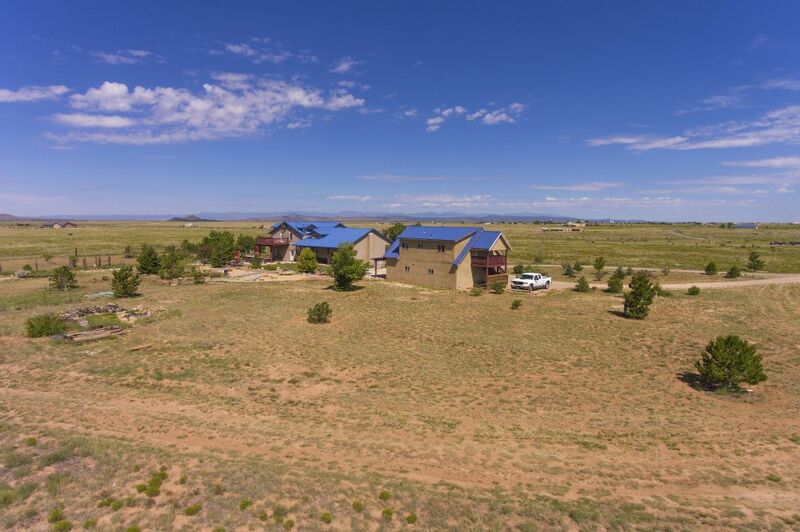 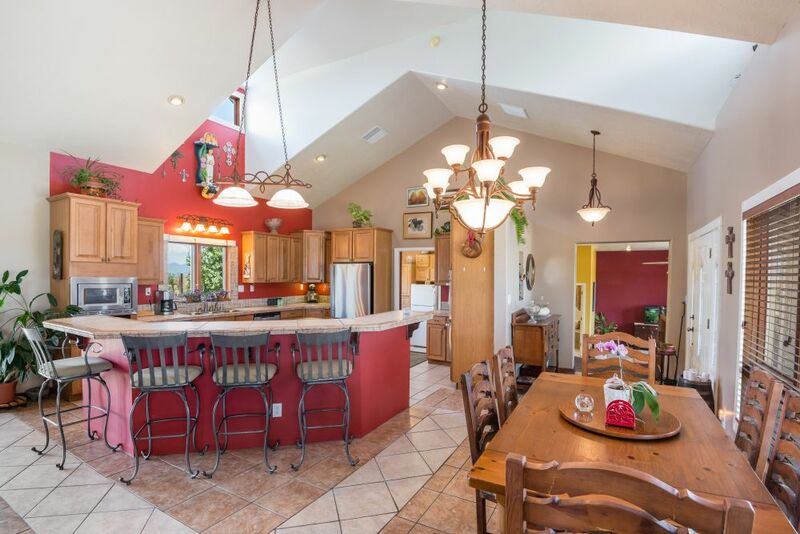 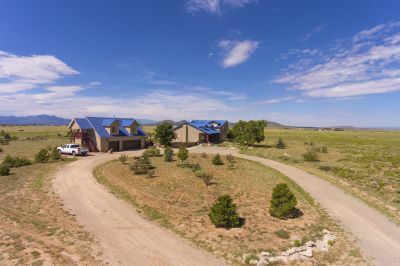 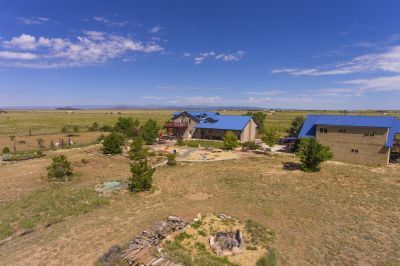 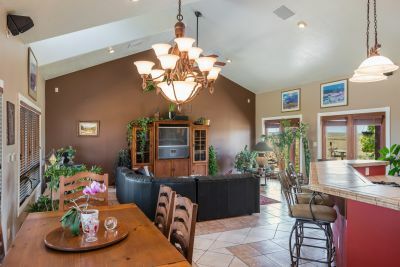 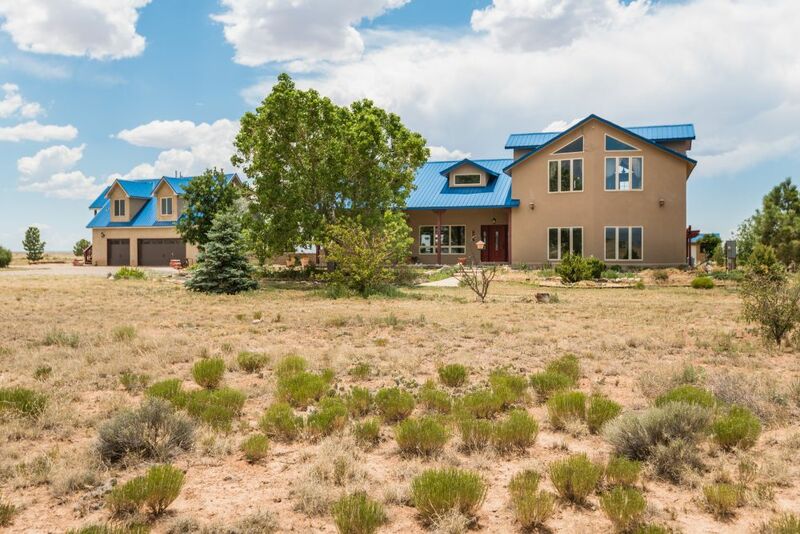 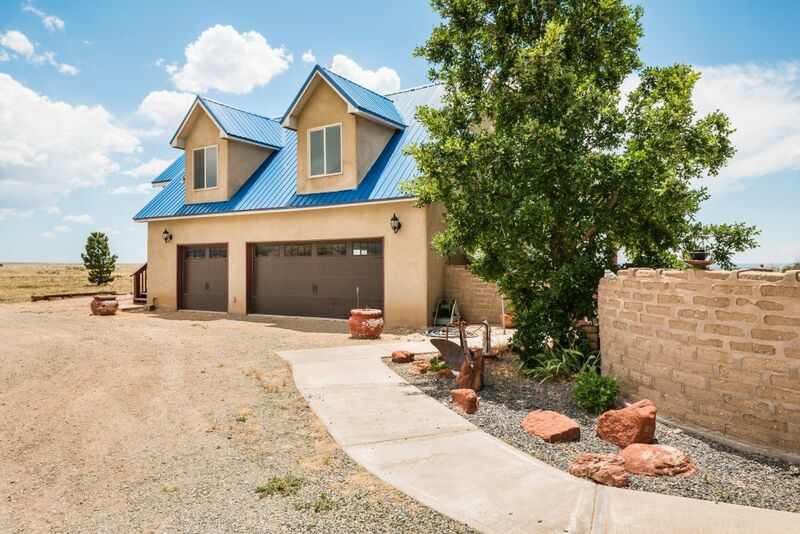 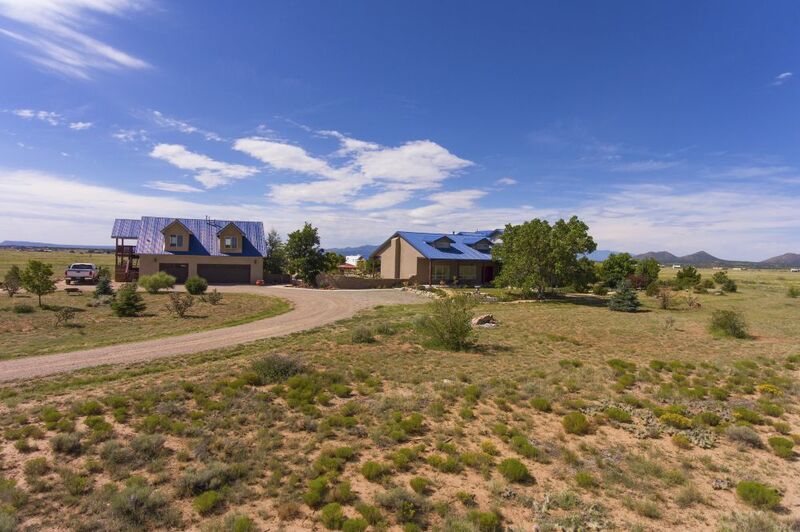 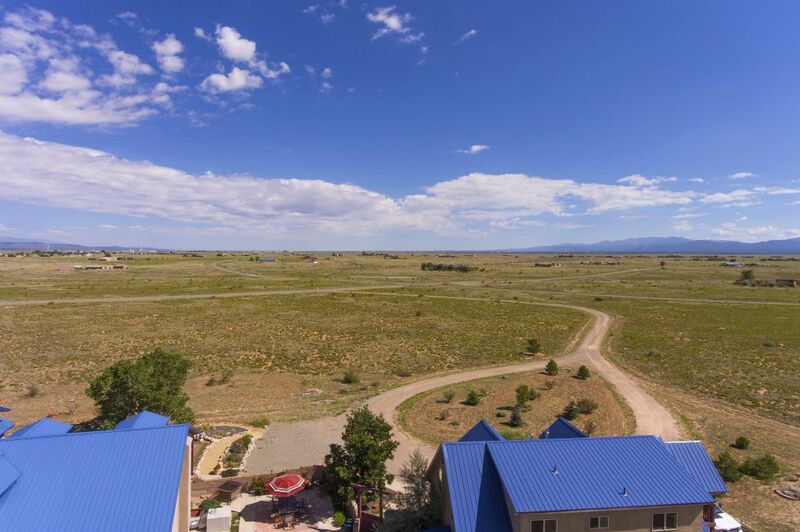 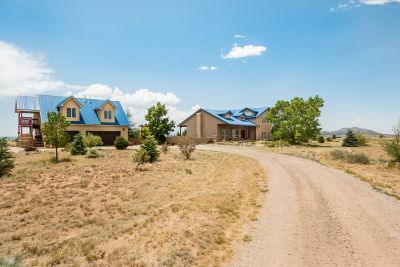 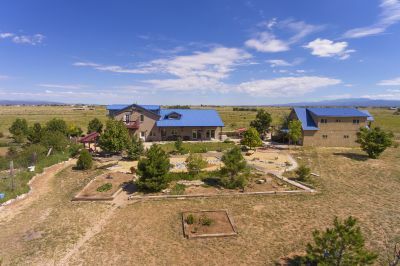 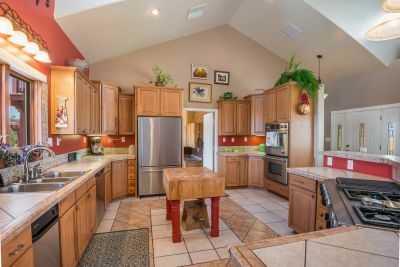 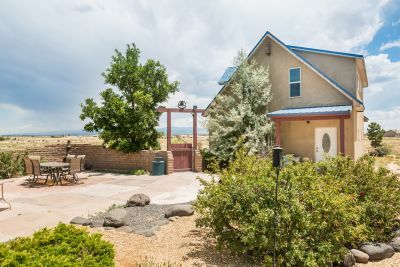 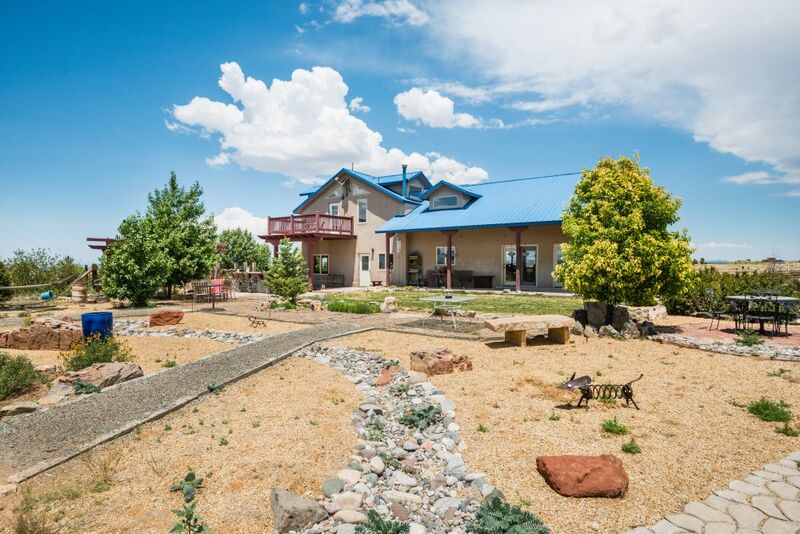 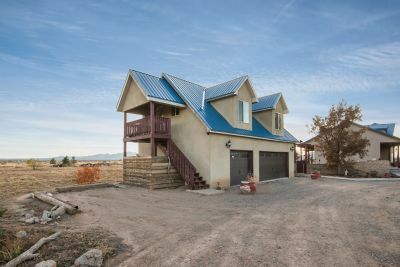 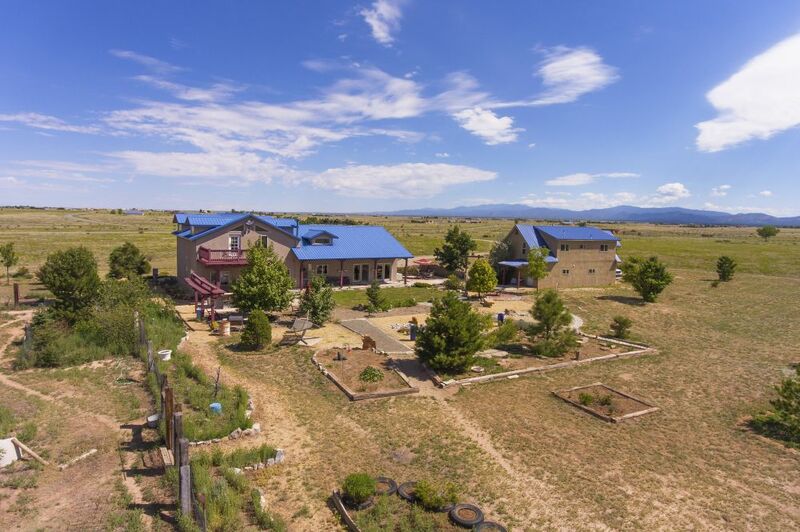 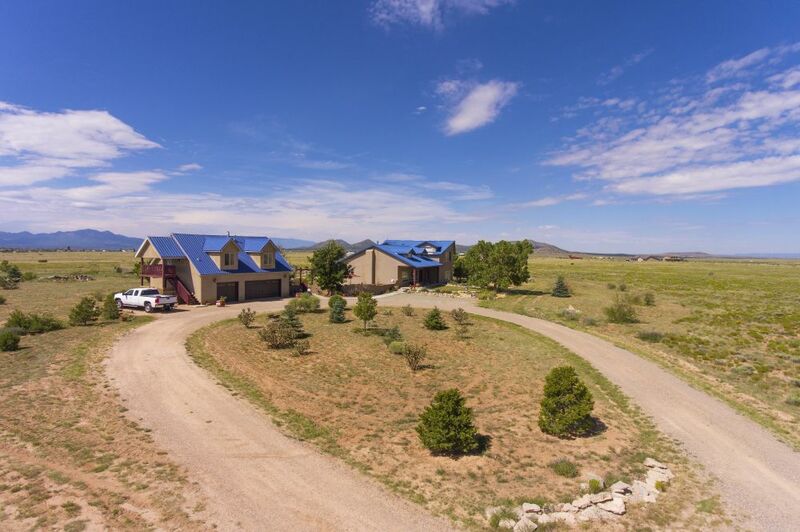 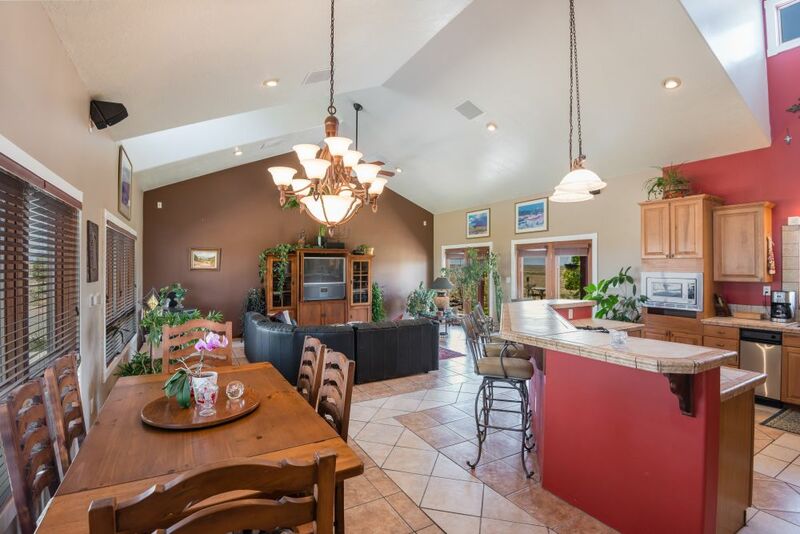 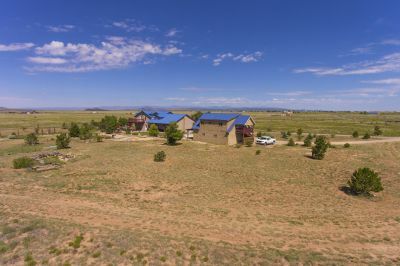 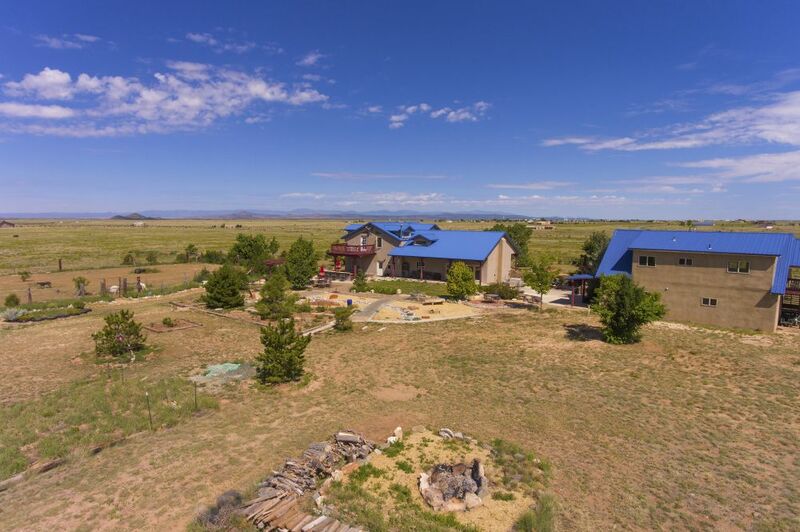 This smaller ranchette features a stately Northern New Mexico Home with a beautiful approach down a winding drive to this two story home on 19 plus acres and features inviting and dramatic spaces with soaring ceilings. The beautiful great room features the Living, Dining and Gourmet Kitchen. 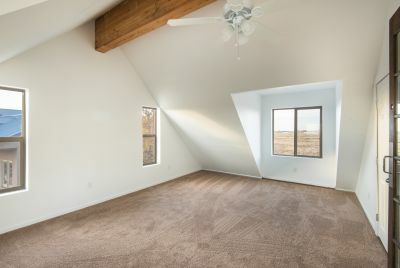 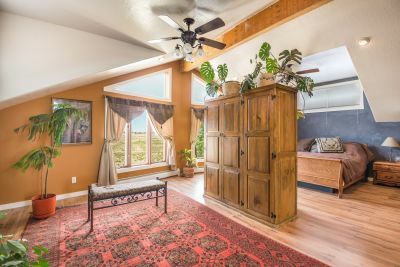 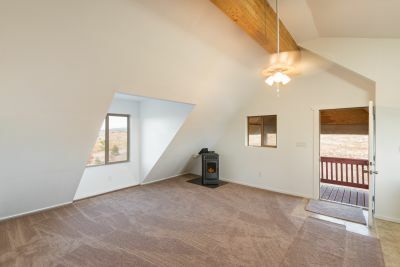 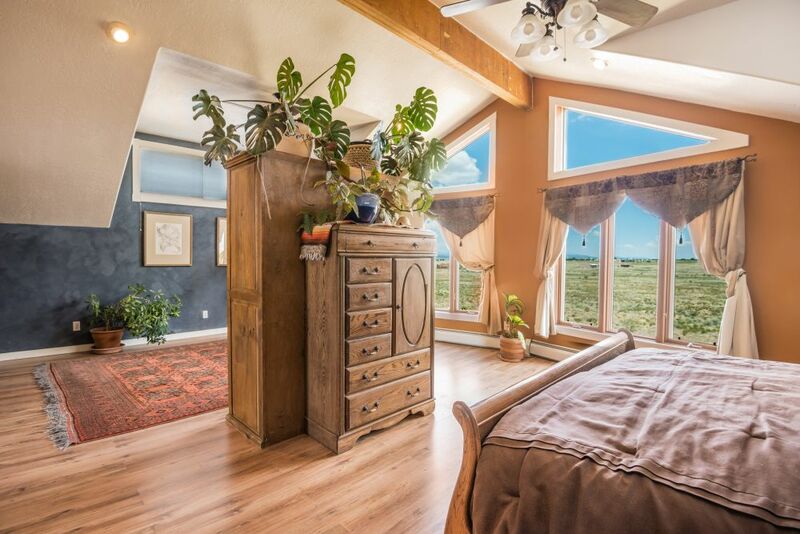 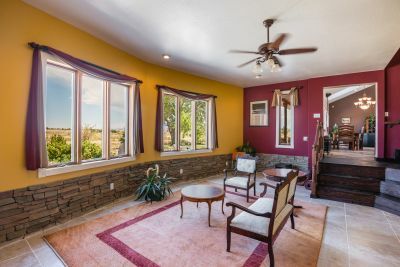 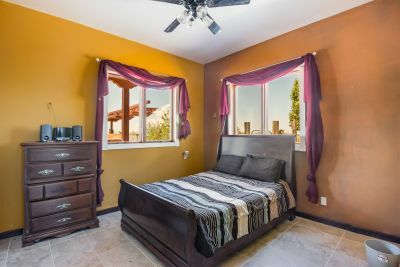 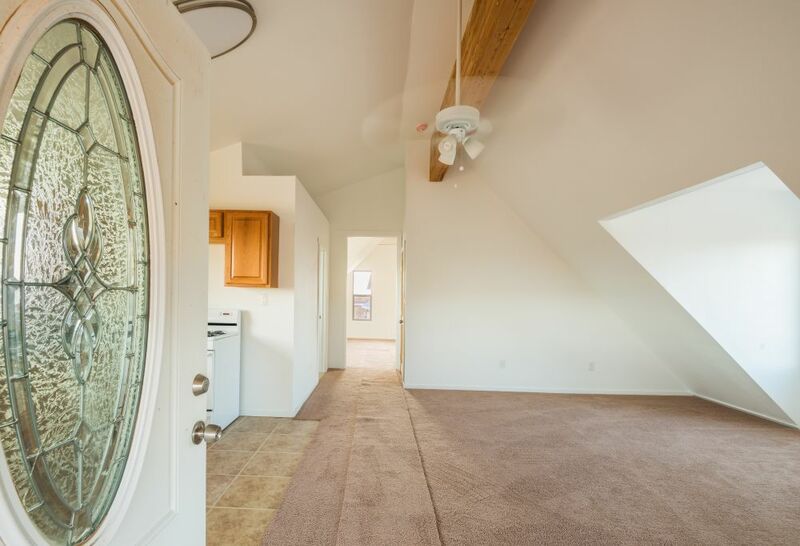 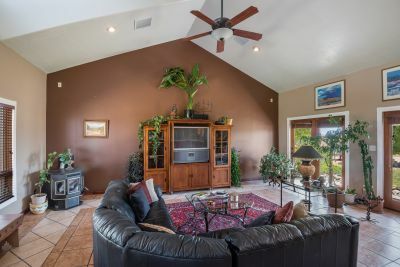 The Master Suite is the entire upstairs featuring a sitting area a full bath and a balcony/deck to take in the Southern Views of the Ortiz Mountain Range and the Sandia Mountain in the distance. 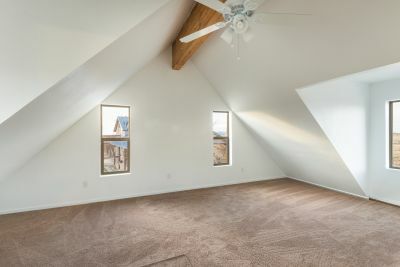 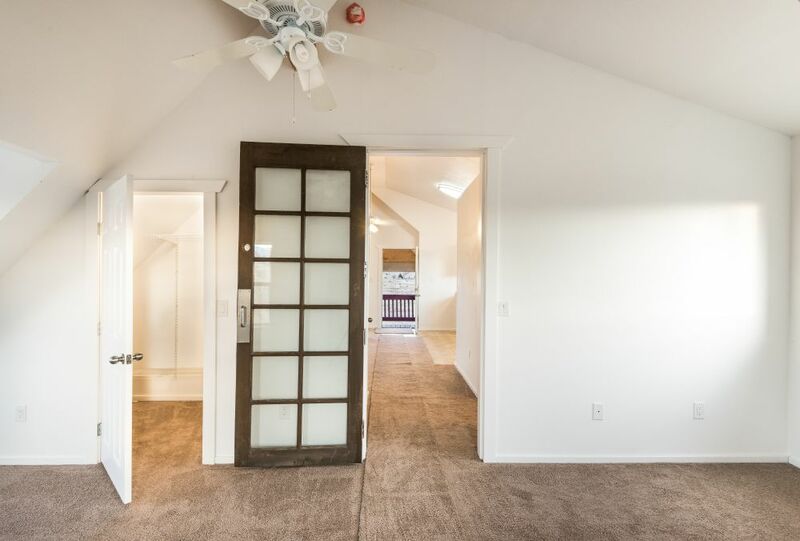 A Den/Study area is one floor down from the main floor and also features the second bedroom and full bath. 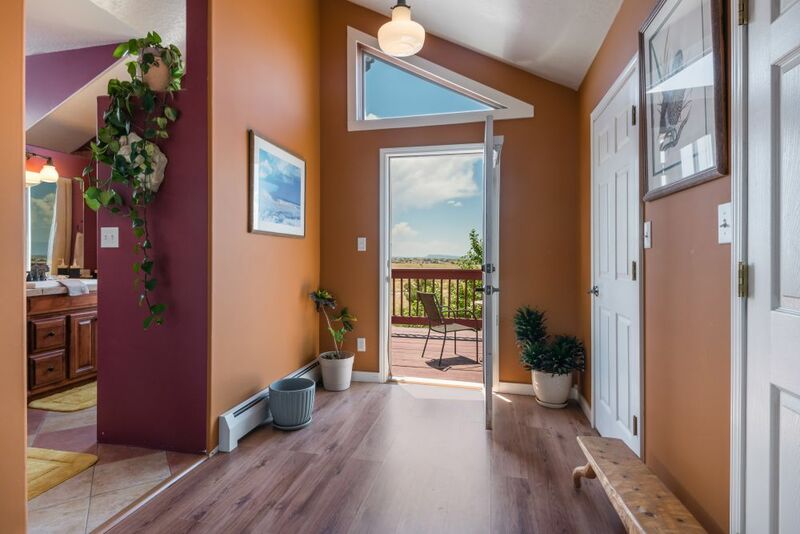 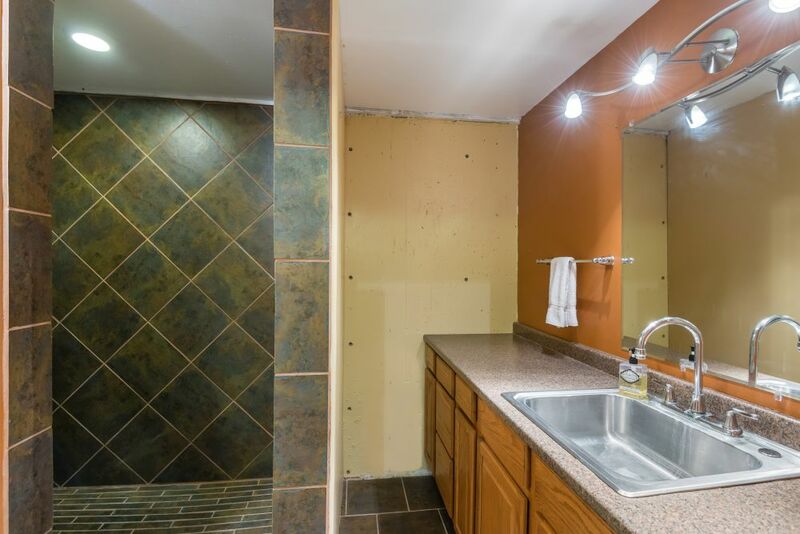 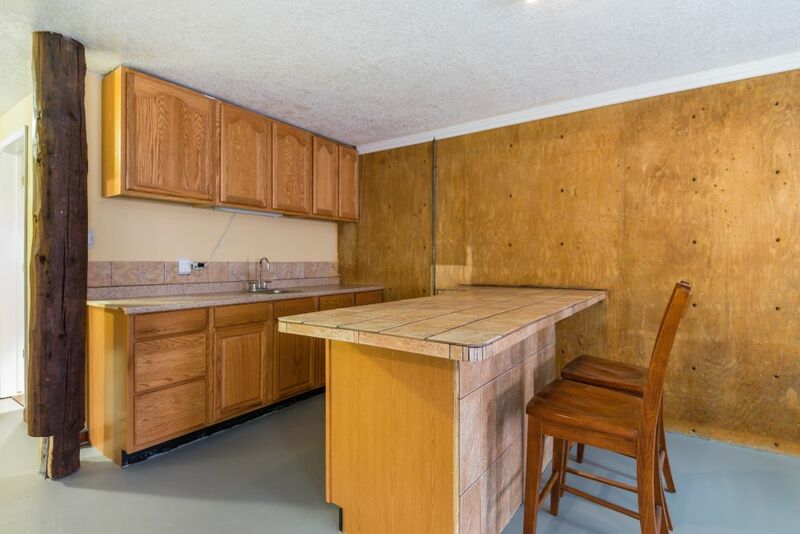 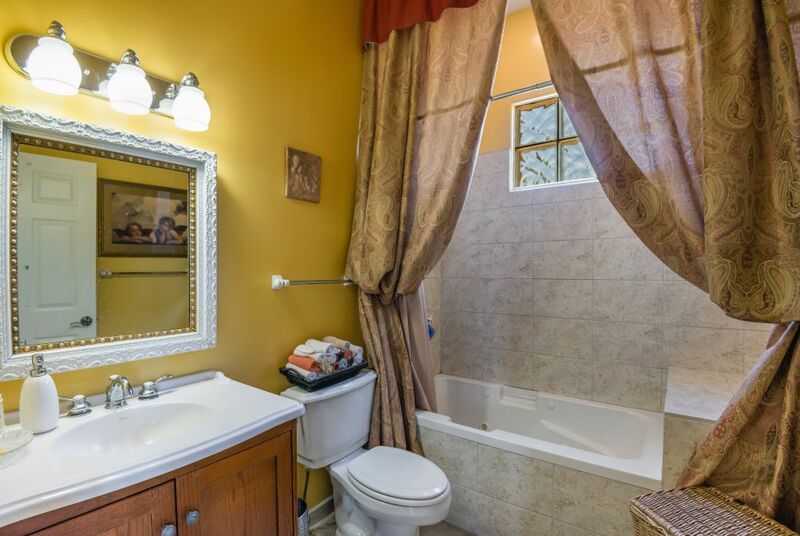 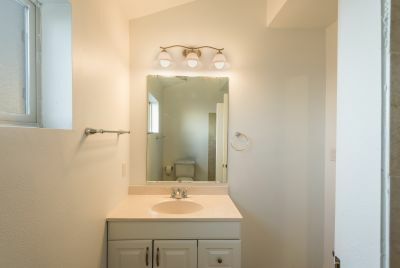 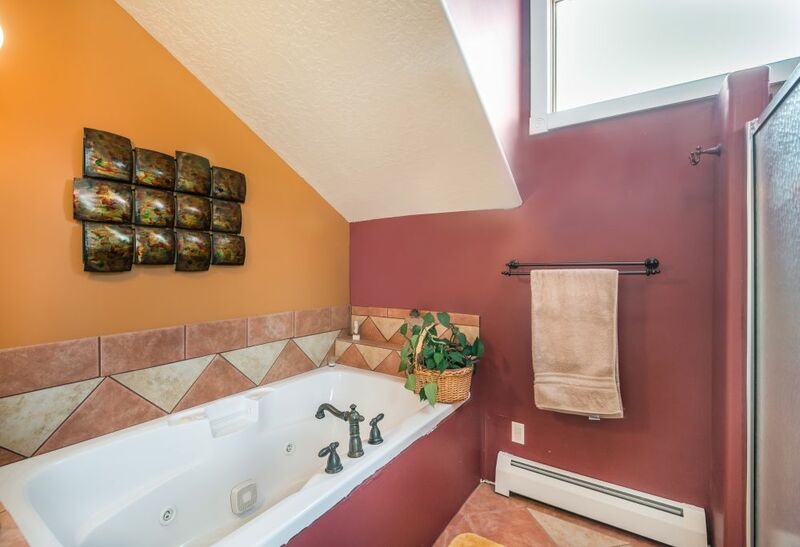 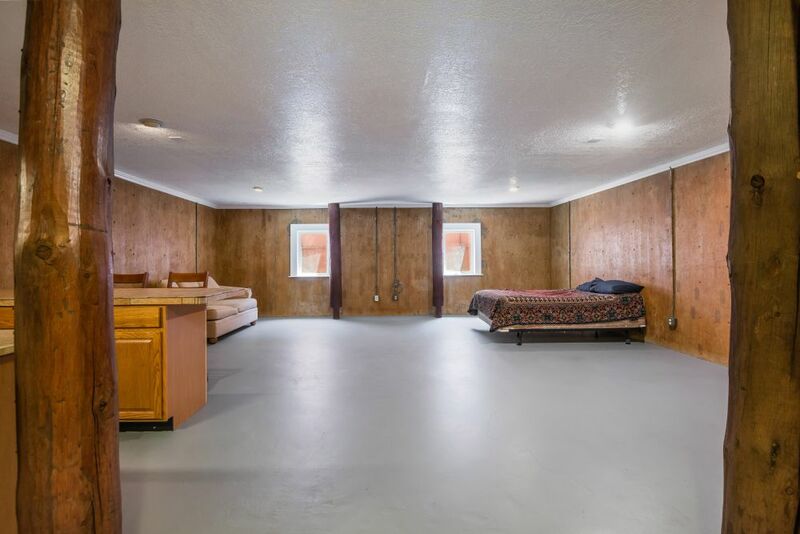 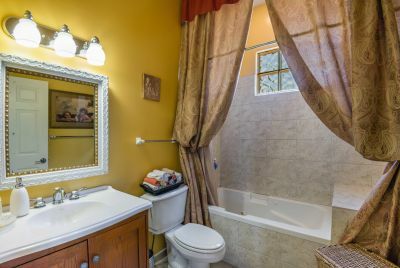 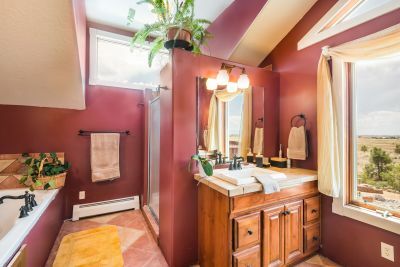 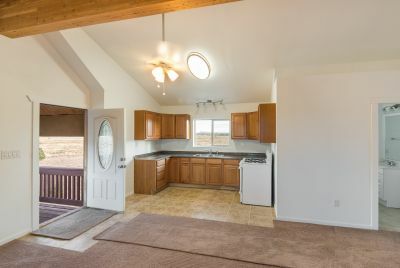 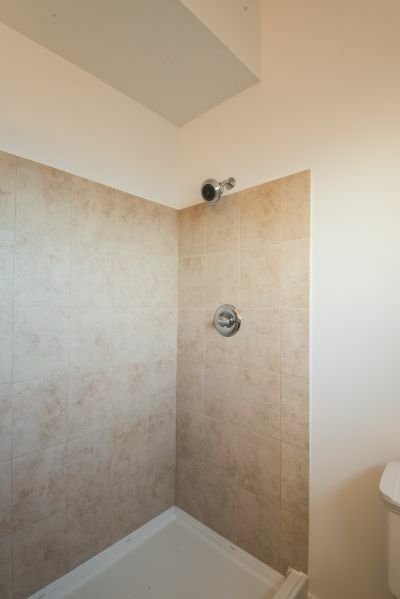 This home also has a basement level with a bath and wet bar area. 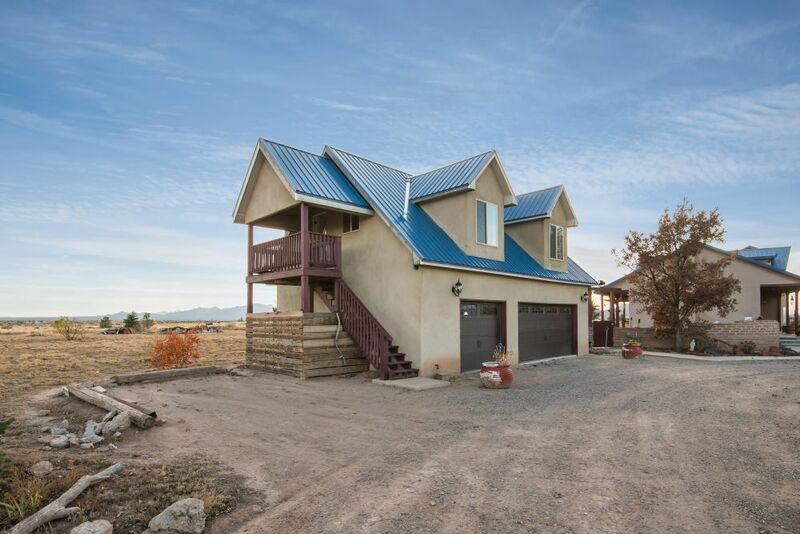 There is a 900 sf garage with an unfinished guest house above. 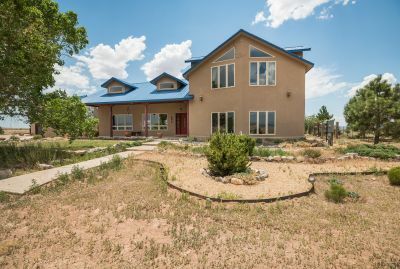 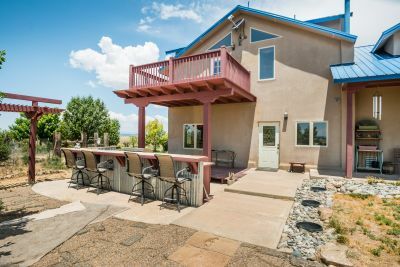 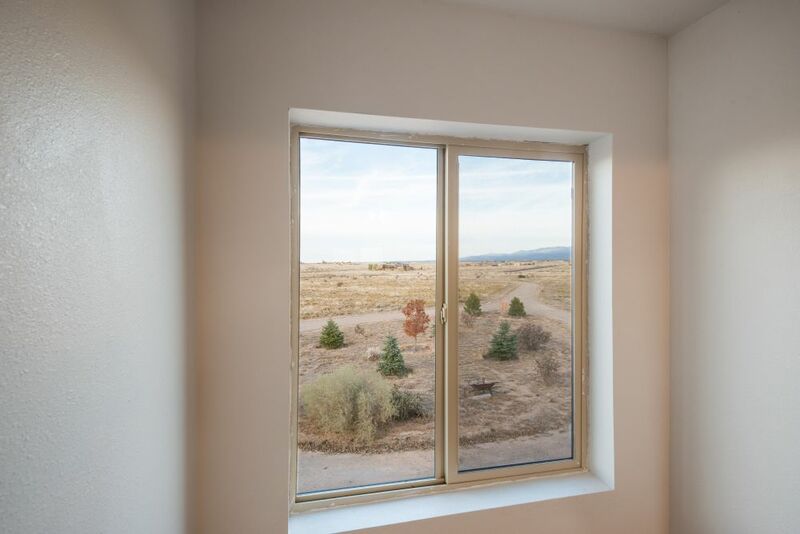 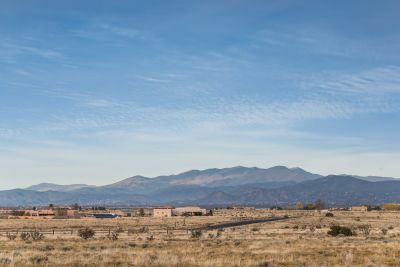 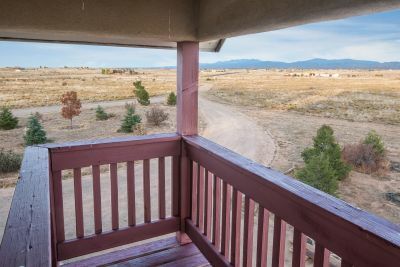 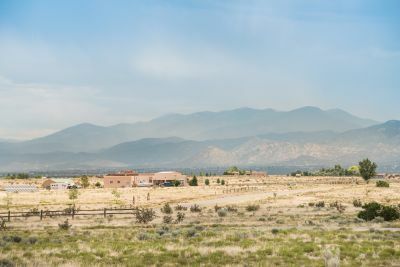 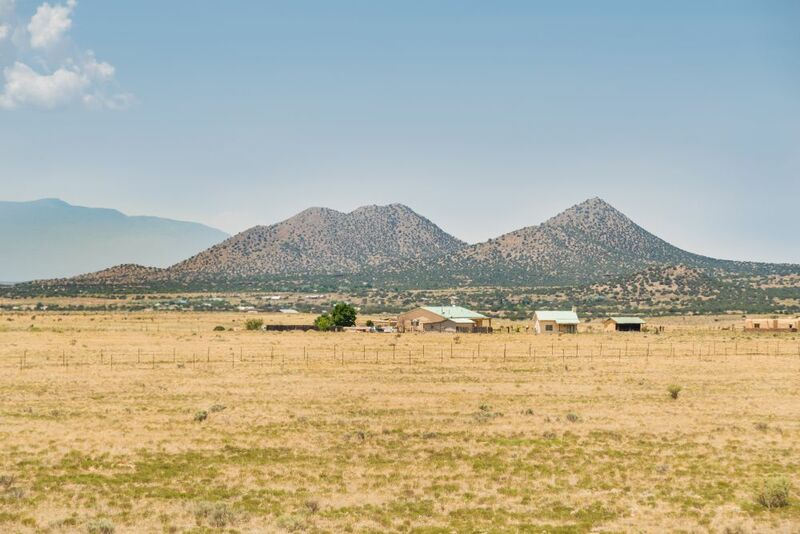 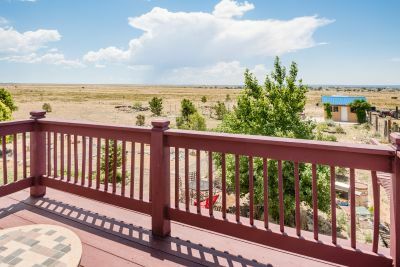 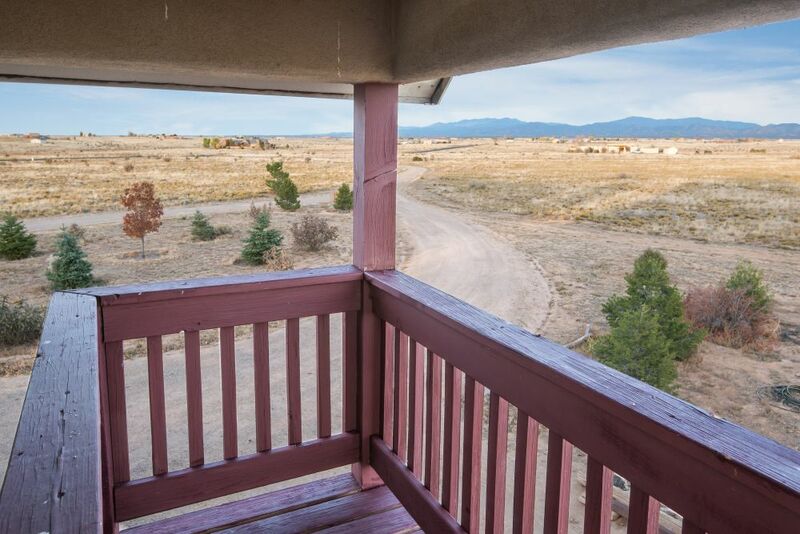 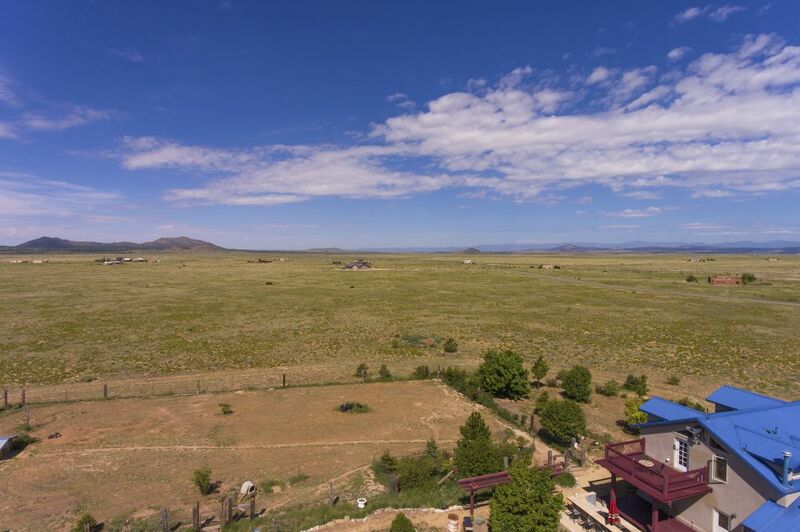 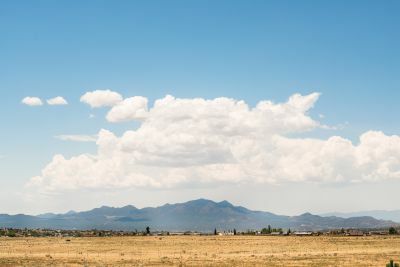 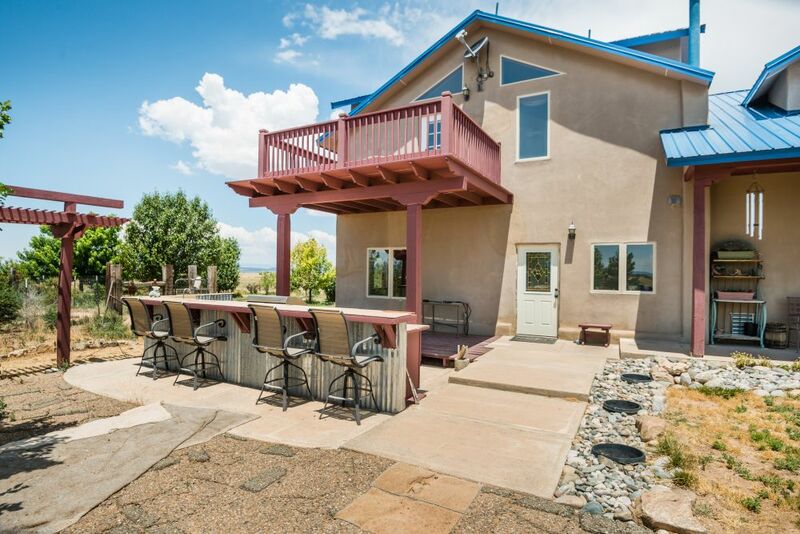 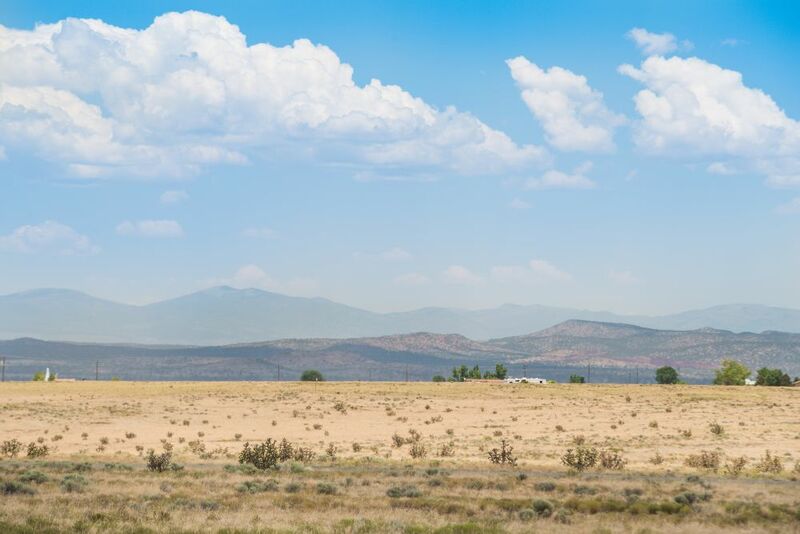 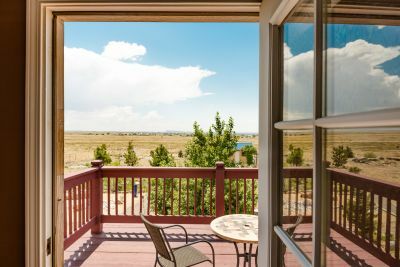 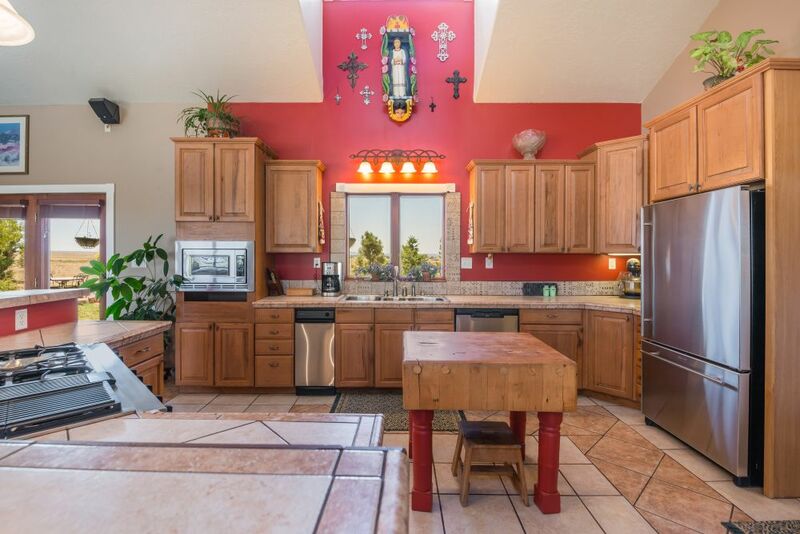 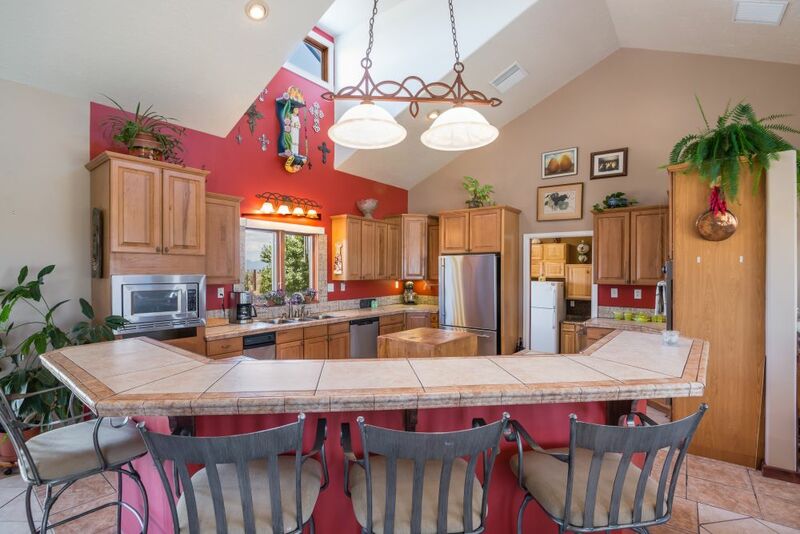 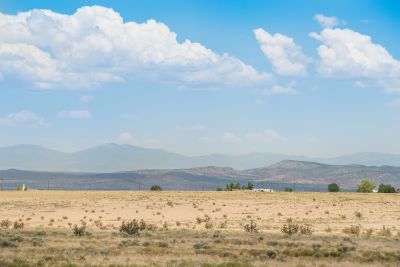 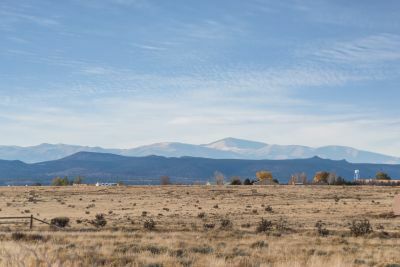 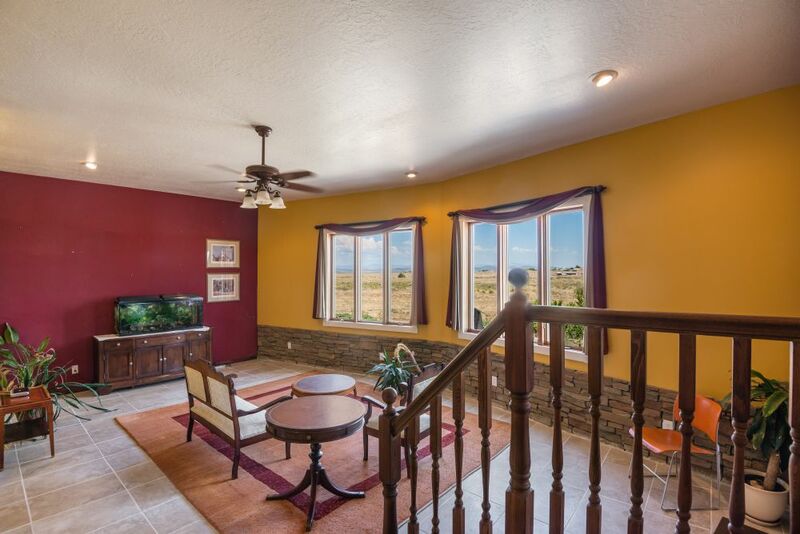 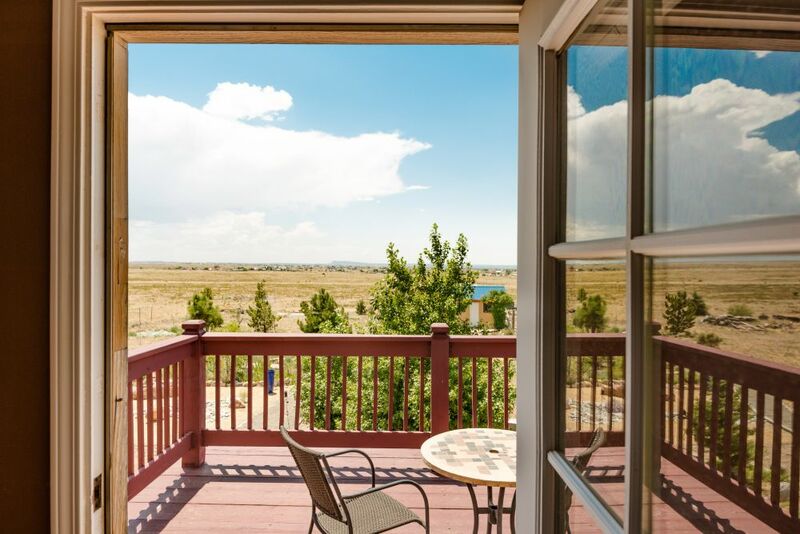 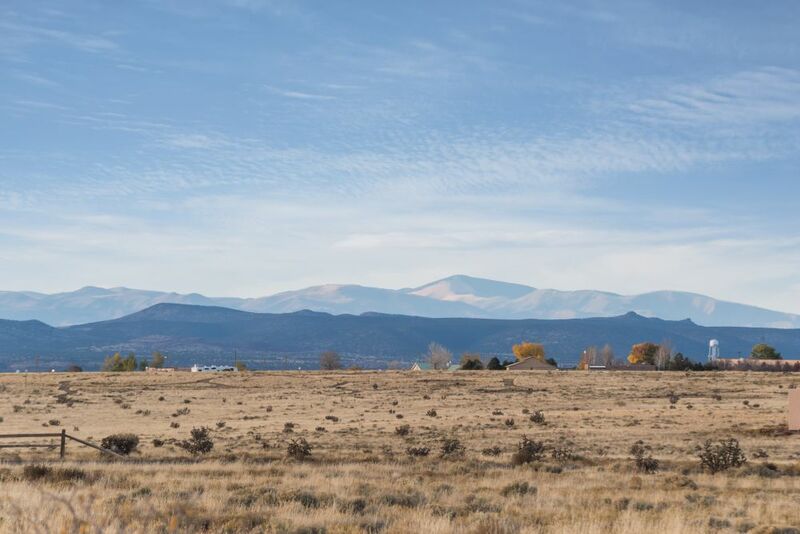 This property features 360 degree views of the Jemez, Sangre de Cristo, Ortiz and Sandia Mountains.